After Penn State senior Seun Babalola is seemingly the last student to leave campus for winter break, the Nittany Lion is quite literally “Home Alone” at University Park. It’s a dream at first: He can run wild, eat ice cream, shoot hoops, read every single book in the stacks, and make a snow angel at center ice of Pegula. While the "Symbol of our Best" is impersonating President Eric Barron at his desk in Old Main, Barron himself walks in and the Lion’s left scrambling. The very best part of this year’s holiday greeting (now dubbed the end of year video) begins around :51 when Barron FaceTimes his wife, Molly, who agrees to invite the lonely Nittany Lion over for coffee. Enjoy this year’s video and happy holidays! 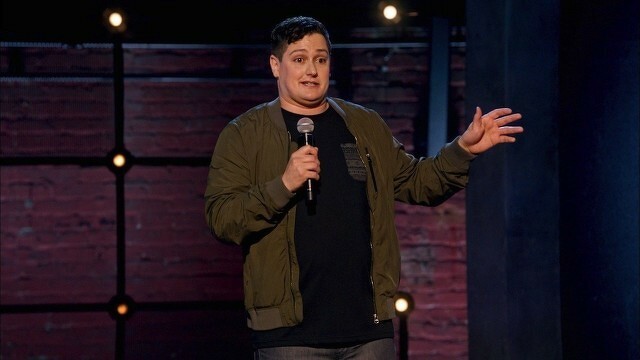 Comedian and State College native Joe Machi made his debut performance on "The Tonight Show Starring Jimmy Fallon," on Thursday night.